Sandwiches are a weekly dinner item in my house and each day I work I take a sandwich in my lunch. We definitely go through a lot of bread in my house. I buy a few brands of bread and change the brand depending on sales, coupons and the type of bread I am looking for. For sandwiches Oroweat® is a great option and they have many varieties. It's a great brand for pre-sliced bread to have in the cupboard. When I make my son one of his lunchtime favorite's, Pineapple, Ham and Cream Cheese Sandwich I like to use a whole grain and whole wheat bread. Oroweat® has recently reformulated their recipe making it tastier and healthier for you. I am all in for changes in recipes when it is for the better. Oroweat® Whole Grains 100% Whole Wheat sliced bread is premium bread with a whopping 21g of whole grains per slice! 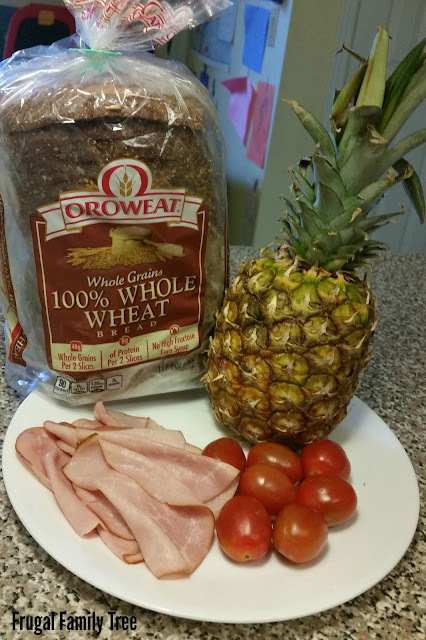 Oroweat® Whole Grains 100% Whole Wheat sliced bread is 90 calories and has no high fructose corn syrup or artificial colors or flavoring. Since I work 5 days a week and always take a sandwich to work I often make them ahead of time. 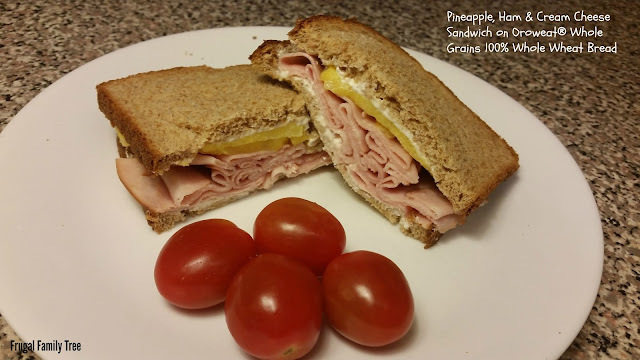 I made a few of these Pineapple, Ham and Cream Cheese Sandwiches and put them in the fridge. I love being prepared with my lunch already made so I can savor a few more moments with my son before I head our the door. 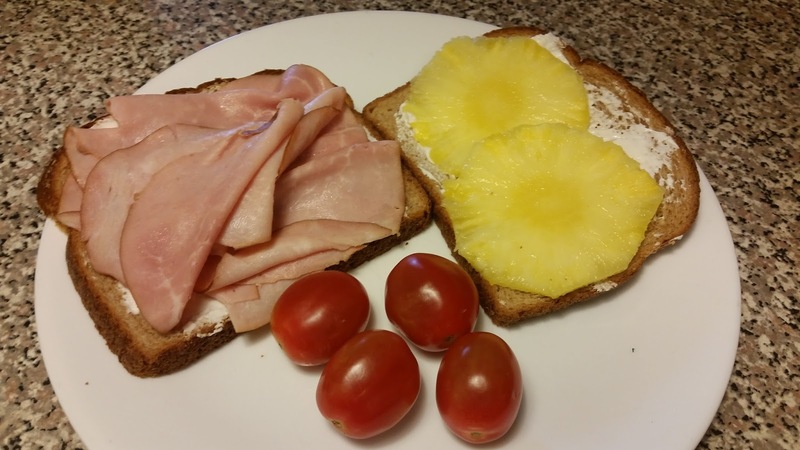 What is your favorite easy to make sandwich in your family? *Limited to US residents 18 years old and above. Giveaway starts March 7, 2016 and ends on March 14, 2016 at 12:01 am PST. Winner will be emailed and has 48 hours to respond before another winner is selected. I was not paid for this giveaway or post. The opinions on this item are 100% mine and may vary from others. The sponsor is responsible for providing the prize. Tuna fish sandwich is my favorite. Ham and Swiss cheese is my favorite sandwich. My favorite is grilled cheese, especially with a few slices of ham. I really love salami and provolone! My favorite sandwich is egg salad.